Photocatalysis has been intensively used for wastewater remediation, but suffers from unsatisfactory efficiency for treating complex wastewater system, which includes antibiotic, organic dye and bacteria. Herein, we prepared novel SnO2−x/g-C3N4 photocatalysts and introduced oxygen vacancy by partial oxidation of Sn2+ under solvothermal condition. The oxygen vacancy was demonstrated by the X-ray photoelectron and electron spin resonance spectra. 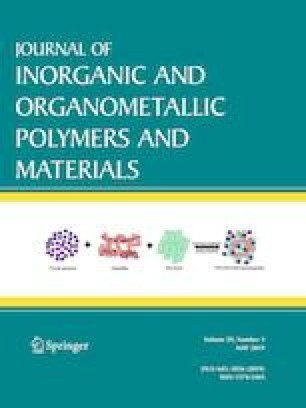 Compared with pure SnO2−x, g-C3N4 and stoichiometric SnO2/g-C3N4 composite, the optimum SnO2−x/g-C3N4 composite exhibited higher photoactivity for removing antibiotic (tetracycline hydrochloride) and organic dye (rhodamine B) under light-emitting diode (LED) track light irradiation. Furthermore, the optimum SnO2−x/g-C3N4 composite could completely inactivate Escherichia coli within 30 min. The remarkable performance of SnO2−x/g-C3N4 was mainly ascribed to oxygen vacancy: (i) enhanced the separation efficiency of photo-induced charge carriers between SnO2−x and g-C3N4; (ii) broadened light absorption range due to the formation of SnO2−x with narrow band gap. This work provides a new idea for designing g-C3N4-based photocatalyst with oxygen vacancy toward wastewater remediation. The online version of this article ( https://doi.org/10.1007/s10904-018-1050-1) contains supplementary material, which is available to authorized users. The authors genuinely appreciate the financial support of this work from the National Nature Science Foundation of China (21406094, 21476097, and 21676128), Postdoctoral Foundation of China (2015M571693) and Foundation of Jiangsu University (14JDG184).